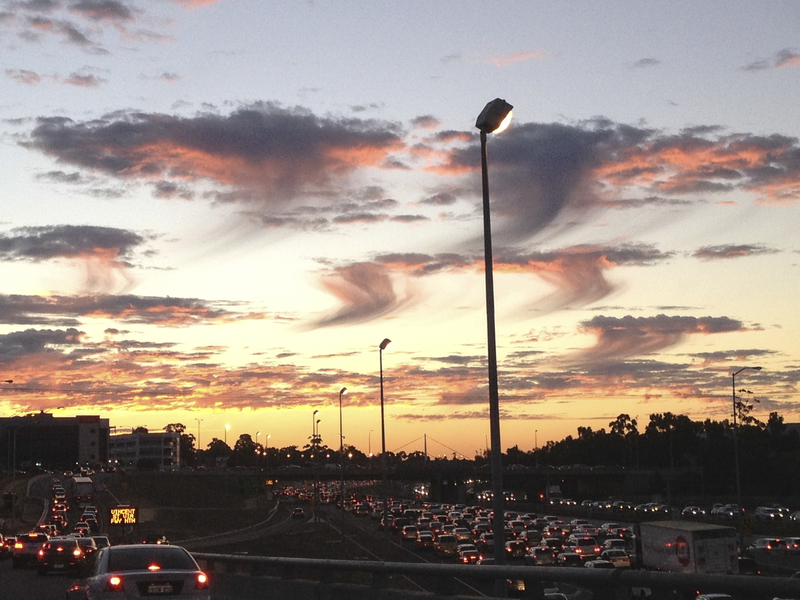 For a big country town, Perth holds its own for homeward traffic. Stuck on the motorway with no spot to stop my vehicle and whip out the big gun, the iphone got the gig. I would have risked police intervention if only there had been space for the monster truck. The sky was like this for around 4 minutes in total, and looked even more amazing before I was pulled inexorably into a tunnel, an excrutiating 2 minute crawl to freedom and vision at the other end.